Taymara needs YOU! – or at least would very much like you to join us and help with our ever-expanding activities. You would get a chance to learn about our range of vessels, how to crew them, and ultimately – if you wish – to become a fully qualified powerboat coxswain. We particularly welcome people with seagoing experience and those with current qualifications. We are also keen to attract more women members, people with learning difficulties and people from ethnic minorities. Welcome is the key word – you can be assured of a very friendly one. People with learning disability are no different from others in that they want to be involved in meaningful activities and to interact with other like minded people. In this respect Taymara more that fits the bill for J. and J. who have been volunteering for the organisation for a number of years now. Denied of real choices for many years through lengthy periods of hospitalisation, when given the chance J. and J. took the opportunity to get actively involved like ducks to water. 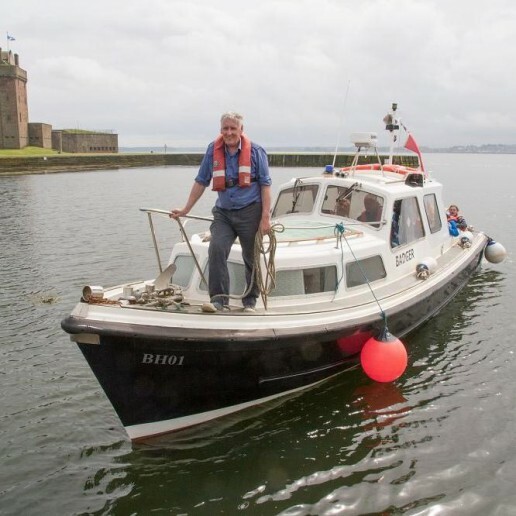 In this environment they quickly learned a range of new skills whether it was in general boat maintenance work or in more academic pursuits such as piloting a vessel and they are now considered to be valued members of the team. True success is something that eludes many people with a learning disability through no fault of their own but in J and J’s case Taymara has provided an environment which allowed them to blossom through structured guidance by staff and their own commitment, motivation and hard work.